A home where all are welcome no matter their background or affiliation. 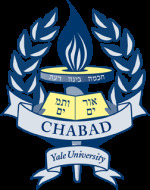 • A Jewish student organization at Yale that provides educational, social, and recreational programming for students and faculty. • A place where students socialize in a comfortable home-like setting with great friends, superb food and stimulating discussion. • A partnership between students and staff to help create student programming, plan social action projects, promote health awareness activities and offer many volunteer opportunities.